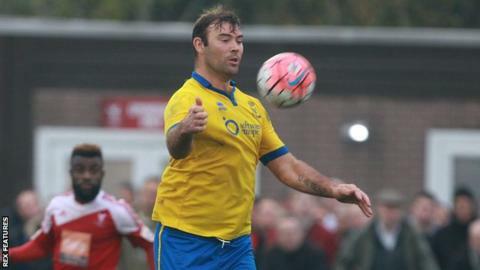 Lincoln City have rejected a "five-figure offer" from National League rivals Barrow for striker Matt Rhead. The 31-year-old former Corby Town player is the Imps' leading scorer this season, with 18 goals from 31 appearances in all competitions. Rhead joined Lincoln on a free transfer in May, after he rejected a new contract at League Two side Mansfield. "The offer might have bought his left leg, that's about it," manager Chris Moyses told BBC Radio Lincolnshire. "There's a relationship there between the manager (Paul Cox) and Matt. I think he brought Matt out of non-league football into full-time football at Mansfield. "There's a connection there but Matt's happy at Lincoln, he's scoring goals, he's playing very well and long may that continue."